It's finally time for another "Make It with Mod Podge" tutorial with Cathie and Steve. In this episode, Cathie and Steve explore the versatility of Mod Podge in making a variety of decorative letters for wall and home decor. There are so many ways to decorate! Use glitter, yarn, string, beads, paint, and more to create truly unique and fun pieces. Craft them into monograms for a dorm room, or a big inspirational word to adorn the wall. There are so many Mod-Podgeabilities! 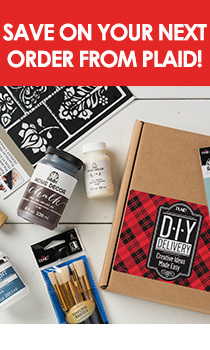 See all of our Make it with Mod Podge series, and subscribe to our channel for updates!